S-lon 210 is a medium weight cord best for size 6 and 8 seed beads as well as for macrame or bead crochet. What is the difference between C-lon and S-lon? Nothing! They are the same product. 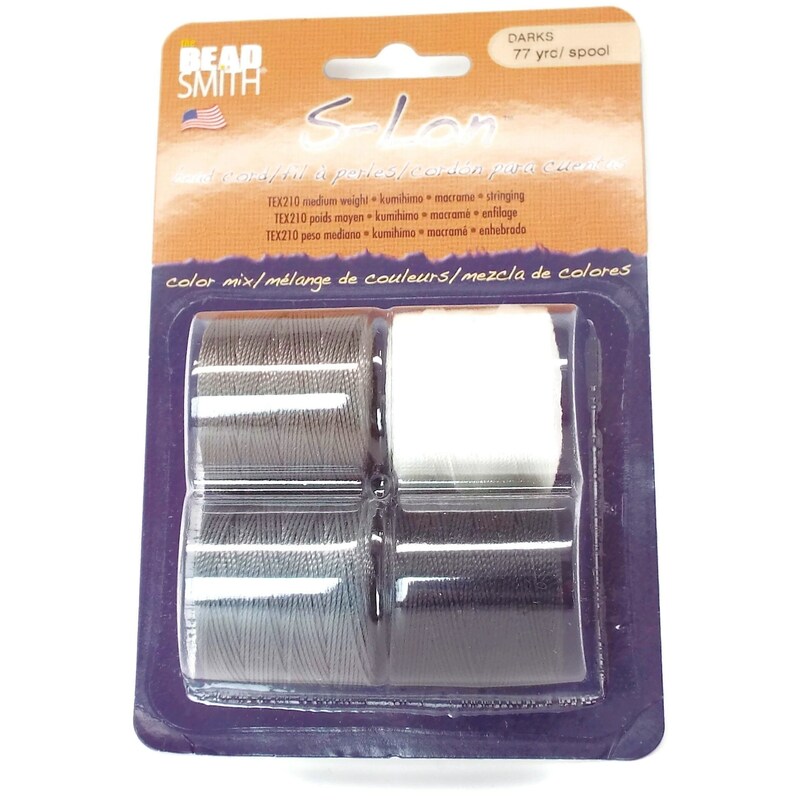 S-lon is a Beadsmith product and comes in a smaller 77 yard spool. Both brands of bead cord is .5 mm 3-ply twisted, bonded multifilament nylon cord. Use for 6, 8, & 11/0 seed beads or other beads with at least a .8 mm hole. Use for kumihimo, macrame & stringing. Each piece I make is made from the finest materials and is crafted with the highest level of expertise. If for any reason you are unhappy with a purchase please contact me within 7 days of receipt to discuss a satisfactory resolution.